Mount Pleasant Memorial Waterfront Park is located on Wingo Way alongside the Ravenel Bridge. The main attraction for the the park is the pier that extends parallel to the Ravenel Bridge. The pier itself was built upon the old Grace Memorial Bridge that the Ravenel replaced. 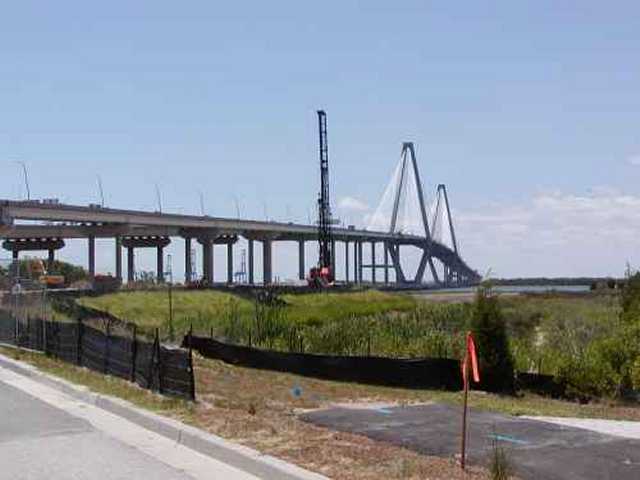 Wingo way extends under the Ravenel Bridge and connects to Patriot's Point. The Mount Pleasant Visitor's Center is located in the park The park encompasses 22 acres and includes a 1,250 foot long pier and war memorial. There are always a large number of people fishing. There are a number of benches and chairs around the park and on the pier, including several cellphone charging stations. There is also a large playground for children.